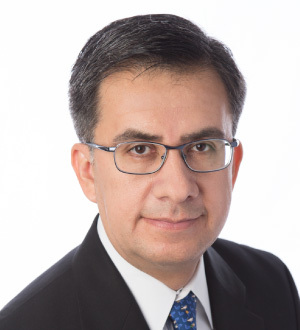 Enrique G. Mendoza is Presidential Professor of Economics and Director of the Penn Institute for Economic Research at the University of Pennsylvania, where he joined in 2013. Before that, he was Neil Moskowitz Professor of Economics at the University of Maryland, and held positions at the International Monetary Fund, the Board of Governors of the Federal Reserve System and Duke University. He is a 1989 PhD from the University of Western Ontario, a Research Associate of the NBER, a former panel member of the NSF Economics program, and has served in the editorial boards of several academic journals, including the American Economic Review. His research focuses on international capital flows, financial crises, sovereign debt and international business cycles. His main publications include: “A General Equilibrium Model of Sovereign Default and Business Cycles” with V. Yue, Quarterly Journal of Economics, 2012, “Sudden Stops, Financial Crises & Leverage,” American Economic Review, 2010, “Financial Integration, Financial Development and Global Imbalances,” with V. Quadrini and J. V. Rios-Rull, Journal of Political Economy, 2009, and “Real Business Cycles in a Small Open Economy,” American Economic Review, 1991. Mendoza, Enrique; Bianchi, Javier (2015): “Phases of Global Liquidity, Fundamentals News, and the Design of Macroprudential Policy”, BIS Working Papers. Mendoza, Enrique (2013): “Financial Globalization, Financial Crises, and The External Portfolio Structure of Emerging Markets, National Bureau of Economic Policy. Mendoza, Enrique; Bianchi, Javier (2013): “Optimal Time-consistent macroprudential policy”, National Bureau of Economic Policy. Mendoza, Enrique (2012): “Macro-prudential Policy in a Fisherian Model of Financial Innovation”, National Bureau of Economic Research. Mendoza, Enrique; Terrones, Marco (2012): “An Anatomy of Credit Booms and their Demise”, BIS Working Papers.